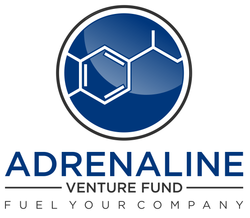 Adrenaline Venture Fund is a supporter of the Southwest Florida Naples Accelerator. Naples Accelerator provides companies with facilities, networking, tutoring, and training to grow their businesses. Naples Accelerator also brings them closer to the sources of funding. Companies have received mentorship from industry leaders, pitched to numerous well-connected individuals, and gained access to investors and sales leads. Fusion Pointe advances Southwest Florida’s innovation economy by connecting entrepreneurs with experienced mentors, who will help them build their high-tech startups into investor-ready ventures. Communities that foster successful startups see increased economic vitality in terms of both wealth and jobs; and according to the Startup Genome Project, these startups firms are seven times more likely to raise investment capital and more than three times more likely to grow customer bases if they have helpful mentors. Fusion Pointe provides those mentors. To learn more, visit www.fusionpointe.org for more information.